The South Vancouver Island Rangers October shoot will be October 13-14 and not October 6-7 as previously shown online and not 20-21 as printed on the green pocket schedule. Mark your calendar for SVIR on October 13 & 14. Please note – due to a club scheduling conflict the Canby shoot for May 4-6 has been cancelled and re-scheduled for October 20-21, 2018. Is your club registered? 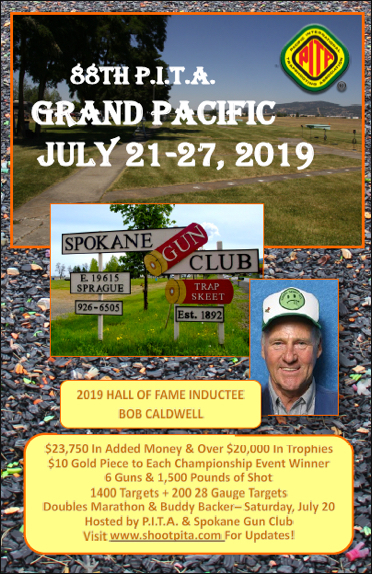 Contact sue@shootpita.com or call 541-258-8766 to register your club. Click HERE for the details. June SPECIAL!! Shooters new to PITA can join PITA free at the June Multiplex event ONLY. The PITA shoot scheduled for April 27-28 at Machias has been cancelled. Yearbooks will be mailed May 13th – we apologize for the delay. Are there more opportunities to register targets now than 20 years ago? You decided…. Find this and other interesting trivia in the 2017 Average & History Book – now at the printer. It is not too late to order a book – click HERE. 1st 125 club in 2018…. Congratulations to this squad. 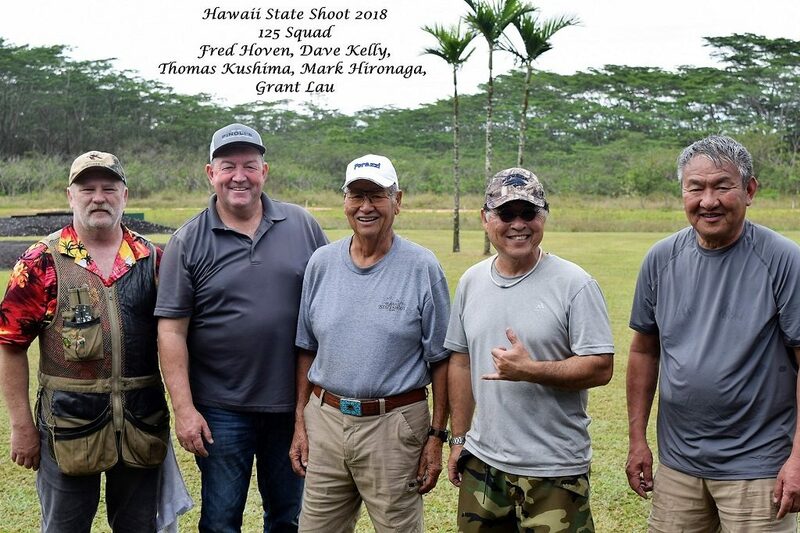 First 125 Club squad in 2018 – Big Island Trap Club – Hawaii State Shoot. Fred Hoven (WA), Dave Kelly (CA), Tommy Kushima (HI), Mark Hironaga (HI), Grant Lau. To see all the 125 squads, click HERE. Notice: Effective March 1 the PITA daily fee will be $4.00 and annual membership fees increase to $25. New forms are available on the forms page. Day one of the Hawaii State shoot is history. Click here to see results. This links to a scores website that Kay is posting to each night. Congratulations Spud – 100 in singles! Only a few of these have been shot at Big Island Trap Club. Boone Heinz and Dave Kelly tied in the handicap event. Saturday concluded with Dave Kelly having the high score in doubles – 99. Hawaiian shooters Earl Higa and Sidney Akiona topped the leader board in handicap with 94’s. February Multiplex results are posted! Results are posted and final. Scores of 49/50 in the handicap earned 1/2 yard so be sure you stand at the correct place at your next event. Weather played a big factor this month as you can see from the photos above. 496 shooters – over $10,000 in payouts! This was the last shoot of the winter season – checks for Jan/Feb will be mailed by the end of the month. Summer Multiplex begins mid-week as not to interfere with weekend shoots: June 4-8, July 2-6, August 6-10 – register your club soon!